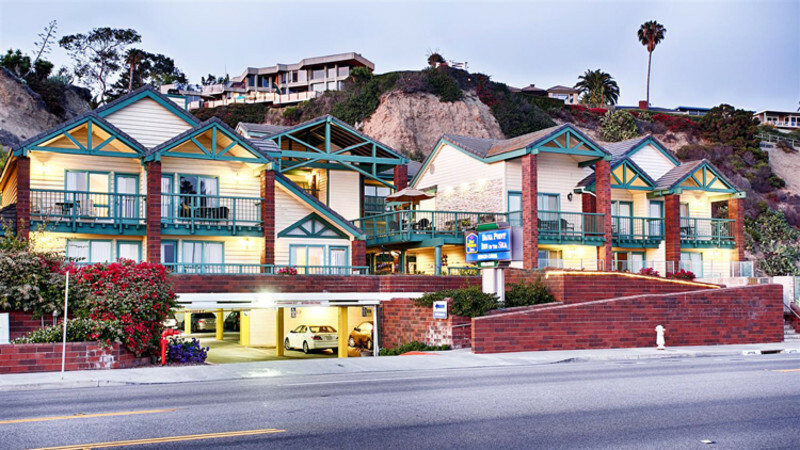 Nestled along the bluffs of beautiful Dana Point lies the quaint and charming 29-room BEST WESTERN PLUS Dana Point Inn-by-the-Sea. Get away from it all without getting too far off the grid at this luxurious Dana Point hotel that puts guests in the lap of California's beauty. Private getaways and romantic escapes are easy at this Dana Point hotel. Doheny Beach and Dana Point Harbor provide the perfect atmosphere for an intimate getaway. This ocean view hotel is just a quick float away from Catalina Island where you'll be happy to get 'lost at sea' in such decadent surroundings. Southern California beach weather is simply unbelievable. Not too hot, it's the perfect temperature for sun bathing, trying out some surfing moves, or simply strolling hand in hand with your sweetheart. Don't miss out on the local events like 4th of July fireworks off the Pacific Ocean or the Doheny Blues Festival.